It&apos;s time for holiday shopping, and if you have a little one to buy for this holiday season, you probably have a long list of requests already. But have you considered that some of the toys on your shopping list may be dangerous? In fact, some of the most popular toys of 2017 produce sounds so loud, they can potentially cause permanent hearing damage. As you make your way through the busy toy section this year, here are some important facts about hearing health to keep in mind! Noise-Induced Hearing Loss can happen after exposure to loud noise, whether it is just briefly or over a period of time. Loud sound can damage hair cells in the inner ear resulting in a hearing loss, and most times this cannot be reversed. People of all ages can experience Noise Induced Hearing Loss—even children. While hearing loss is currently more prevalent in adults, children and teens are experiencing it at a higher rate. This rate is frequently attributed to noise exposure from headphones and other devices. Left untreated, hearing loss can negatively impact school performance, speech development, and social skills. Children with hearing loss can miss important parts of conversations or class room discussions and are ten times more likely to fail a grade than their peers. The good news is that Noise Induced Hearing Loss is completely preventable! Knowing what kinds of sounds your child is exposed to and taking the proper precautionary measures is key. So how do you know if a sound is too loud? Sound is measured in decibels (dB), and once a sound reaches 85 dB or higher, it has the potential to cause hearing damage. While most toys do not disclose the decibel level on the packaging, you can get a good idea of what the level is by using a decibel app on your phone. Note that the decibel level will change depending on how close you are to the toy. Many of children&apos;s toys are handheld and designed to be held close to the child&apos;s face, like a toy phone or a microphone. Others are meant to be played with on the floor, such as a firetruck. Still, most are held within arm&apos;s length (less than a foot) when in use. This changes the impact of the sound. A toy that is 85 dB when held in the child&apos;s hand could be 95 dB when held up to the ear. 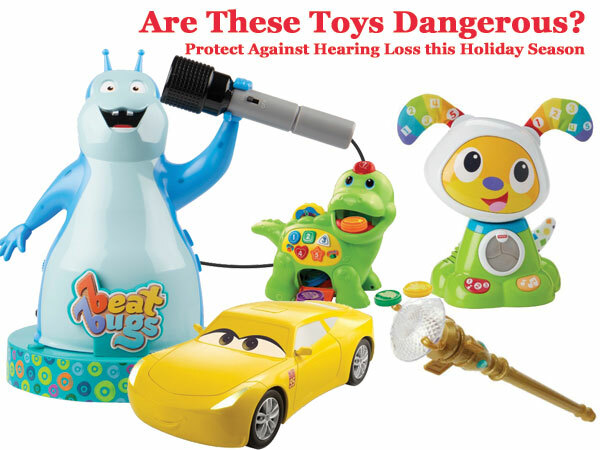 "22 popular children toys exceed the appropriate noise level"
The Sight and Hearing Association releases a list of the noisiest toys each year. In 2017, 22 of the popular toys tested exceeded the appropriate decibel level set by the National Institute of Occupational Health and Safety. The sound was measured with a digital decibel meter, and the decibel level was recorded at arm&apos;s length, and when held near the ear. Take a look at the toys that made the top of the list! This dancing and singing toy dog is designed for children as young as nine months old, and reaches between 83.1 and 90.8 dB. That&apos;s about as loud as the average lawnmower! 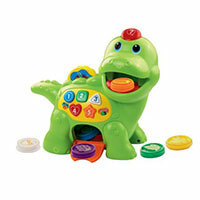 The Chomp & Count Dino is intended to teach children 12-36m about colors, shapes, numbers and food. However, this toy reaches between 88.1 and 93.8 dB, making it a very noisy toy. 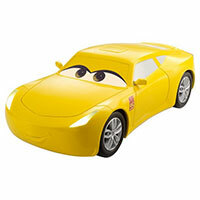 This talking car plays real dialogue from the Disney movie, Cars 3, and is designed for children 3+. 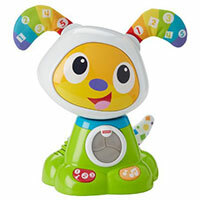 This toy is third on the list of noisiest toys as the decibel level ranges between 88.3 and 93.9 dB. 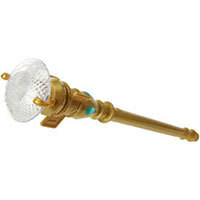 From the popular Disney show, Elena&apos;s enchanted scepter lights up and makes sounds when a button on the handle is pressed. Unfortunately, some of these sounds are too loud, and range between 85.6 and 96.3 dB. This toy is made for children 3+. 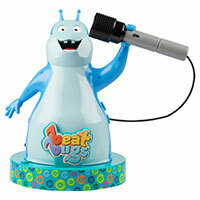 At the top of the list is this portable karaoke machine intended for children ages 3+. It reaches 96.7 dB when held next to the ear, 89.4 dB when held 10 inches away from the ear, and is the noisiest toy to be recorded by the Sight and Hearing Association this year. These are just a few examples, but you can view the full list here. Fortunately there has been some improvement compared with years past. Some of the noisiest toys of 2016 reached over 100 dB—such as the Road Rippers Rush & Rescue Truck that topped out at 103.9 dB. Some activities—such as firing an air rifle, or riding an ATV—may require hearing protection. If you are gifting any of these recreational items, be sure to include hearing protection as well! Any device that requires headphones—such as an iPad, LeapPad, handheld gaming devices, etc.—should be used with caution. Generally, a device that uses headphones should never be turned up all the way. (We typically recommend below 60% of capacity.) Make sure to monitor your child&apos;s use of devices. Many Apple devices even have parental control settings that allow you to set a max volume level. The best thing you can do to ensure the children in your life have healthy hearing is to schedule a hearing exam. Making an appointment with a hearing healthcare specialist should be a regular practice, just like making a dentist appointment! That way, you can ensure they are hearing at their very best!